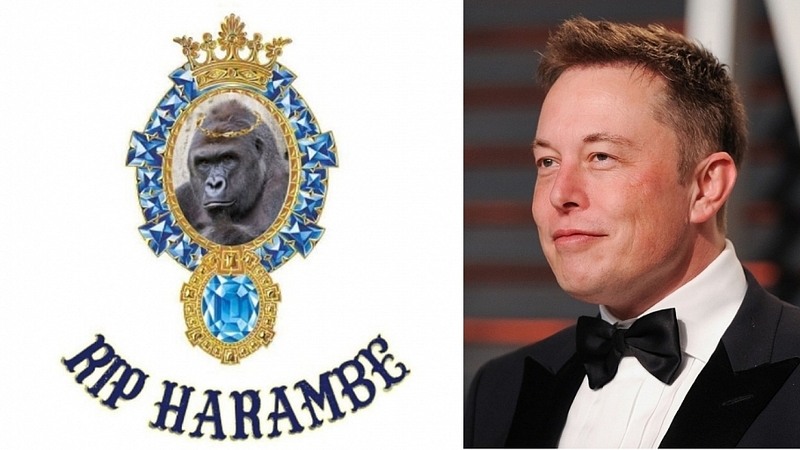 Elon Musk needs no introduction, if you refer to his Wikipedia page, he is known as a tech entrepreneur, investor engineer and now the online encyclopedia just added rapper to his credentials. Of course this took everyone by surprise when he tweeted out the auto tuned rap single signed to Emo G Records and further tagged rap artists @yungjake and @bloodpop over the weekend. The single is a tribute to the now deceased gorilla Harambe, whose tragic death in 2016 in the Cincinnati Zoo caused a massive rush of anger and shock all over the world. Some of the Twitter users didn't quite know what to make of it when they first saw the tweet whereas others were quick to congratulate Elon Musk. elon has hit the peak of humanity. What can’t this man do! ?